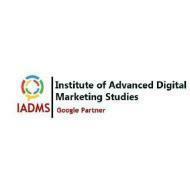 Institute of Advanced Digital Marketing Studies (IADMS) is one of the India's leading Digital Marketing training institute in Bangalore. We provide classroom training in Advanced Digital Marketing for Student, executives and entrepreneurs. Our course are hands-on practical exercises, which creates more exposure to real world implementation. Institute Of Advanced Digital Marketing Studies conducts classes in Digital Marketing Training, Google Analytics Training and SEO Training. It is located in Marathahalli, Bangalore. It takes Regular Classes- at the Institute.